Iridium Communications has announced Suzi McBride is returning to the company, this time as chief operating officer, effective later this month. Long-time COO Scott Smith, who helped lead the company during the launch of Iridium NEXT satellite network, is retiring in March. Smith will continue to work in a consulting role as the handoff to McBride is completed. McBride previously spent nine years at Iridium, including as vice president of program management and launch services, playing a key leadership role in the development of the Iridium NEXT system. 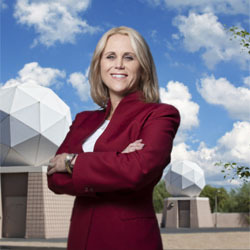 McBride has spent the past 2.5 years as COO and senior vice president at OneWeb, where she built up the company’s team of engineers and oversaw the system design, production and testing of the ground and space networks as well as user terminal development.